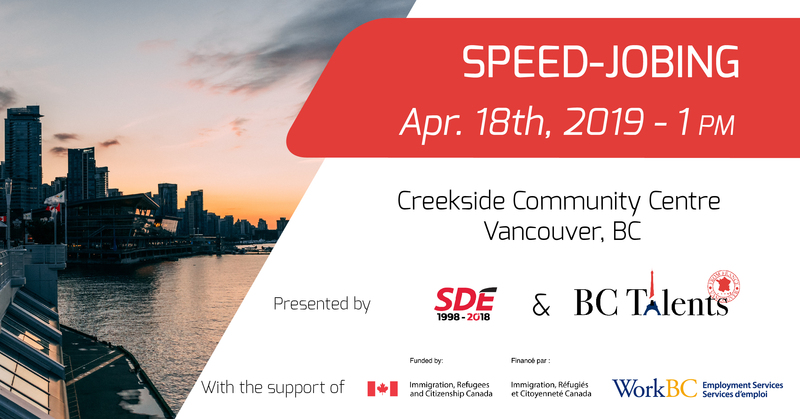 The SDEBC British Columbia Economic Development Corporation and BC Talents invite you to participate in the next recruitment event to be held on April 18th. Meet recruiters looking for new talent during our 2019 Speed-Jobing. Among the companies present, the following areas will be represented: Sales, HR, Marketing / Com, Finance, Project Management, IT / Software Development, Education, Hospitality, Tourism and Health. 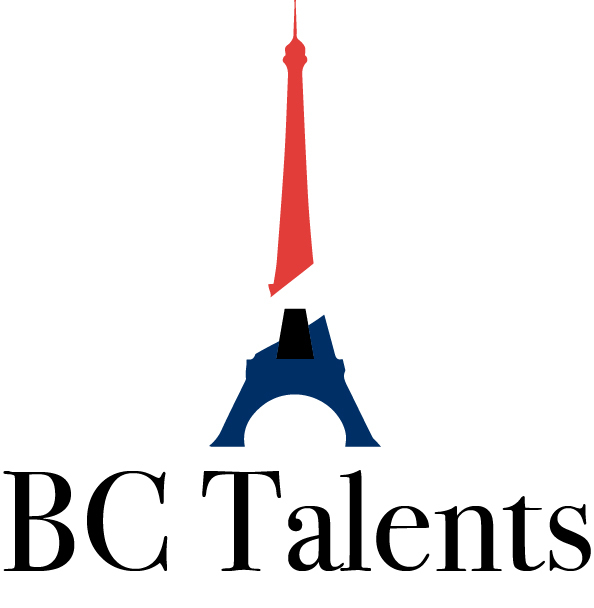 We are glad to announce the attendance of 13 companies so far: G4S, Conseil Scolaire Francophone De La Colombie Britannique, iA Groupe financier (Industrielle Alliance), Rogers, Hospitality Designs, Glentel Business,Service Canada, TELUS Business, Make a Future - Careers in BC Education, Le Parasol, Raymond James Ltd, Parq Vancouver, Sage. More to come... Stay tuned! At the end of your interviews, enjoy 35 mins of networking to create new connections and increase your chances of getting a job! Please note that this event is only and strictly open to persons legally authorized to work in Canada (work permit holder, permanent resident, Canadian citizen). NB: We offer a free childcare service for +1 year-olds (up to 7 children). To be fully prepared to this event please make sure to read the following article Speed-Jobing: How to Prepare?